Earlier this afternoon, I was fortunate enough to interview Dr Brian Greene, the renowned theoretical physicist and string theorist. Dr Greene is a professor of physics and mathematics at Columbia University, and is recognized for a number of revolutionary discoveries in his field of superstring theory. I spoke with Dr Greene about his theories on string theory and multiverses, and tried to wrap my head around that elusive character, Father Time. You can still buy tickets to Dr Green’s A Time Traveller’s Tale show in Auckland on Sunday night. How did you get caught up in string theory, and why is this theory so exciting for physicists? Well, I became interested in string theory as a graduate student. I was at Oxford and that was in the 1980s, when there was a major breakthrough by the only two people in the world (at that time) working on string theory. It was most exciting because it promised to address a question that we have struggled with for over half a century; how to put together Einstein’s theory of gravity with our understanding of the microworld and quantum mechanics. It had been a puzzle for decades, and string theory at least holds out the promise of finally solving it! That’s where the excitement comes from! Fantastic! So it’s a ‘theory of everything’, in a way? That’s right! Gravity is our theory of big things, and quantum mechanics is our theory of small things, and if you put them together you have a unified description of everything. Could you give me a brief overview of string theory? The basic idea is pretty straightforward. We all learn about molecules and atoms and we learn that atoms are made of even smaller particles; electrons that go around the nucleus, which has neutrons and protons. Many of us learn that inside these neutrons and protons are even smaller particles called quarks. That’s where the conventional description stops; it claims that these particles, these little tiny ‘dots’, have no internal machinery. String theory challenges this. It raises the prospect that there may be additional structures within these particles. String theory posits that these structures are little tiny vibrating filaments of energy, that kind of look like a piece of string; hence the name ‘string theory’. The idea is that the different vibrations produce different kinds of particles. A string vibrating one way might be a quark! A string that vibrates a different way might be an electron. Everything is kind of unified into the music played by these vibrating filaments. Like the music of the spheres, or as you’ve described it before, a grand ‘cosmic symphony’? It’s very elegant. While I was researching string theory, I found that ten dimensions are necessary for this theory to work. Can you explain to me why this is? I wish I could. The best I can do is to say that when you look at the mathematic theory, the math simply doesn’t work without the extra dimensions. In some metaphorical or vague sense, the universe with only three dimensions doesn’t have enough room for the strings to vibrate to saturate one of the mathematical requirements that’s necessary for the equations. Beyond that, I can’t give you a nice intuitive description for why this is. The maths makes it clear that it does. I suppose I’ll have to do a bit more reading to understand the mathematics! Is it possible to imagine more than three dimensions? Can anyone do this? Well, yes, some people claim that they can. There are certainly some mathematicians that claim they can. They have immersed themselves in the mathematics of extra dimensions for so many decades that they feel they can picture them in their mind’s eye. I think it’s pretty rare, and I certainly can’t. I’ve worked on these ideas myself for decades and when it comes to extra dimensions, I do rely on the equations, on the mathematical imagery. I know computer graphics do a great job of representing the extra dimensions in three dimensional imageries. Yes, exactly, they produce the extra dimensions in a three dimensional way. It really is, in some sense, a metaphor. It’s one that gives you a little bit of a mental toe-hold, so you can feel you’re getting the basic picture. Could you describe to me your theory of the multiverse, or multiple universes? How different are they from our universe? There are many variations on the theme of the multiverse, so I’ll focus on one to be concrete. The Big Bang, by which our universe came into existence, may not have been a one-time event. There may be many big bangs happening in distant, far-flung locations throughout space, each one giving rise to its own swelling realm, each one giving rise to its own universe. So in a way, you can think about the multiverse as a great cosmic bubble bath, where each bubble is a universe. Our universe is just one bubble in the great bath of existence. Indeed, each universe can be very different from the next. They may have different kinds of particles and different kinds of interactions. Some might support life, and some won’t support life. There’s quite a range of possibilities. That’s a thrilling idea. To me, it gives me a sense of my own insignificance. Of course. I think modern physics is continuing a story of humankind’s demotion that’s been going on since the time of Copernicus, when we thought that the Earth was the centre of everything. Next came the notion that the Sun was the centre of everything, and then we realised that the Sun is one of many stars in the galaxy. Then we believed that the galaxy was the centre of everything, until we realised that our galaxy is just one of many. The final demotion may be that our universe is not the only one. Maybe there are many universes out there, if our theory is correct! What I love about your field of physics is that it combines the huge, regarding the multiverse, with the infinitesimally small, at the level of quantum mechanics. 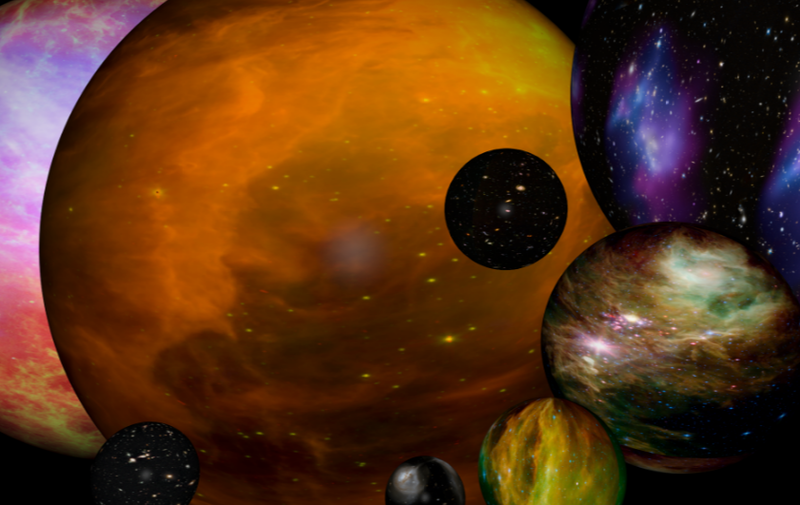 Just in keeping with this multiverse idea, do you think life might exist in another universe? My view at the moment, is that you should take the idea of a multiverse with a grain of salt, because we don’t yet know if it’s correct. However, if you take the multiverse seriously, you buy into the possibility that there may be an infinite number of other universes. If so, you can guarantee that in this very broad spread of universes, some certainly would include life like ours. So potentially in another universe, I might be someone completely different – a grave robber or the queen? There are a lot of sceptics out there, regarding string theory. I count myself one of those. Many scientists criticise string theory because it hasn’t been experimentally backed up yet. 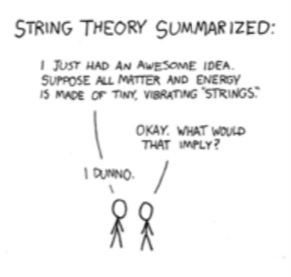 Do you think string theory will be experimentally proven? I think using the word ‘criticise’ is an unfortunate one. Even those of us who are deep in the field will acknowledge, advertise clearly and articulate to the public more generally that these ideas are not proven; that these ideas are coming from the mathematics that hasn’t yet been confirmed by observation or experimentation. So, I do find it curious when people ‘criticise’ string theory, because they recognise clearly, as we do, that this is a matter of the state of the art. Often in science, you don’t have the progress you want at the moment you want it. You have to have fortitude to keep on working and researching, experimenting and measuring, and hopefully one day come into the adjudication of controversial ideas. That’s what science is. Indeed. Do you think that experimental evidence, or another major breakthrough will come about in your lifetime? Nobody can predict with that kind of certainty the timescale of the next breakthrough. I certainly would welcome any insight, even if the insight were to show that string theory is not correct. I would be thrilled, one way or another. My view is not that we’re trying to push string theory forward, but that we’re trying to push our understanding forward. And if string theory happens to be part of that, so be it. And if it happens to not be part of that, so be it too! It’s still an elegant, amazing theory regardless. Have there been any exciting developments recently? I know the discovery of gravitational waves was a major breakthrough. That is the biggest one. The discovery of gravitational waves culminated a 50-year search trying to confirm a mathematical idea that came to us from Einstein. It’s just one more stunning example of how maths shines a bright light into the dark corners of reality. Of course we view this as a template and hope that one day, string theory, or some other proposed unifying theory will undergo experimental or observational justification to confirm our description of reality. If you have time (no pun intended), would you mind describing to me the nature of time? Is it real? Is it an illusion we’ve developed? Well, I don’t know. One of the big questions – and it’s a fruitful question – is whether time is something the human mind has conjured up and uses to organise one’s experience and perception, or whether time is something fundamentally woven into the fabric of reality. This will be one of the questions talked about, as we explore the time-mind, from the beginning of the universe to the end. We’ll explore how humankind fits into this grand cosmic evolution. In relativity theory, the past, present and future concurrently exist in four dimensional space-time. Can you explain this to me? What implications does this have? Well, Einstein taught us a long time ago that there’s no universal notion of time. Every individual has their own perception of time. And what might be ‘now’ for me might be ‘past’ for you. The ‘future’ for you might be ‘present’ for me. When you take into account all these different perspectives, you find that every moment in time is the ‘now’ for somebody. And if you believe that ‘now’ is what exists, then all moments exist, because for any given moment, even though it might be your ‘future’ or ‘past’, somebody is in the present. In this sense everything exists through time, much as every location in space exists as well. Wow, that’s such a strange idea – it’s like Sci-fi! I’ve heard you speak before on time travel. Could you give me a brief overview of how we might travel forward in time? 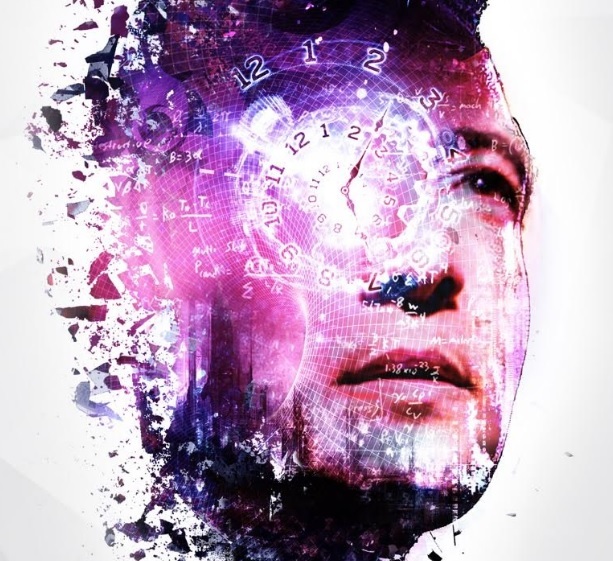 Again, time-travel comes out of relativity and Einstein, where we learn that if you go on a round trip journey in a rocket ship at the speed of light, when you return to Earth, your clock will show that less time has elapsed than has with the clocks on earth. This means that when you step out of your ship, you step into Earth’s future. This could be millions of years in the future, depending on how close to the speed of light you travelled. Another method is to hang out at the edge of a black hole. Again, time slows down. Everything – your watch, biology, your thinking and heartbeat – it all slows down. So when you come back to planet Earth, Earth’s clocks will have been ticking off time in the usual sense and much more time will have elapsed on Earth. You will be in the future. That’s amazing. I never seriously considered the idea of time travel, and it’s incredible that science backs up this. Do you think that time travel back to the past is possible? Most physicists believe that time travel back to the past is not possible, but it hasn’t been ruled out completely. It’s still within the realm of remote possibility. Jean Balchin is an English Literature Honours student at the University of Otago, Dunedin and contributor to Sciblogs News. When she’s not busy painting, playing the piano or writing essays on Robert Burns, you can find her curled up with a recently published book on science. Alternatively, she’ll be bugging her flatmates about their recent findings.